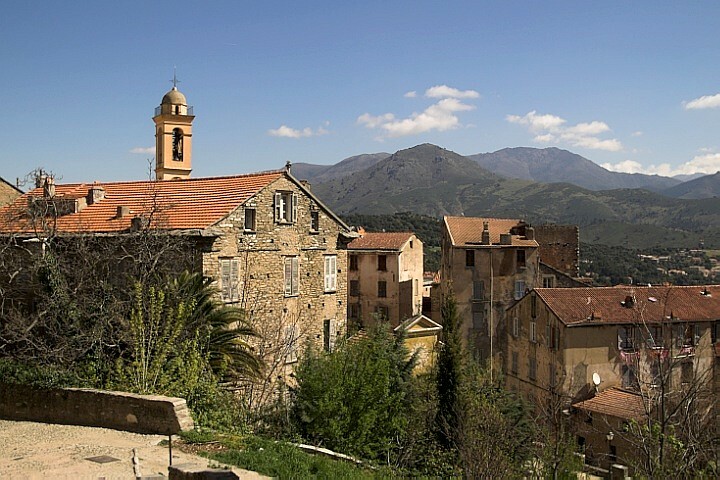 Since the first National Constitution was drawn up here in 1731, Corte (Corti in Corsican) has been the heart and capital of Corsica. Later in the eighteenth century Pascal Paoli, called "U Babbu di u Patria" in Corsican (Father of the Nation), formed the Corsica's first democratic government here. From the contemporary tourist's (i.e. mine) point of view is Corte a small town with a large supermarket -- the largest one I saw in Corsica :-) The city centre consists of basically one street and the citadel. It's beautiful though and even more beautiful are mountains that surround it. The photo shows historic centre of Corte as seen from the citadel and I took it in April 2006.